Rid your pet and home of fleas for good. 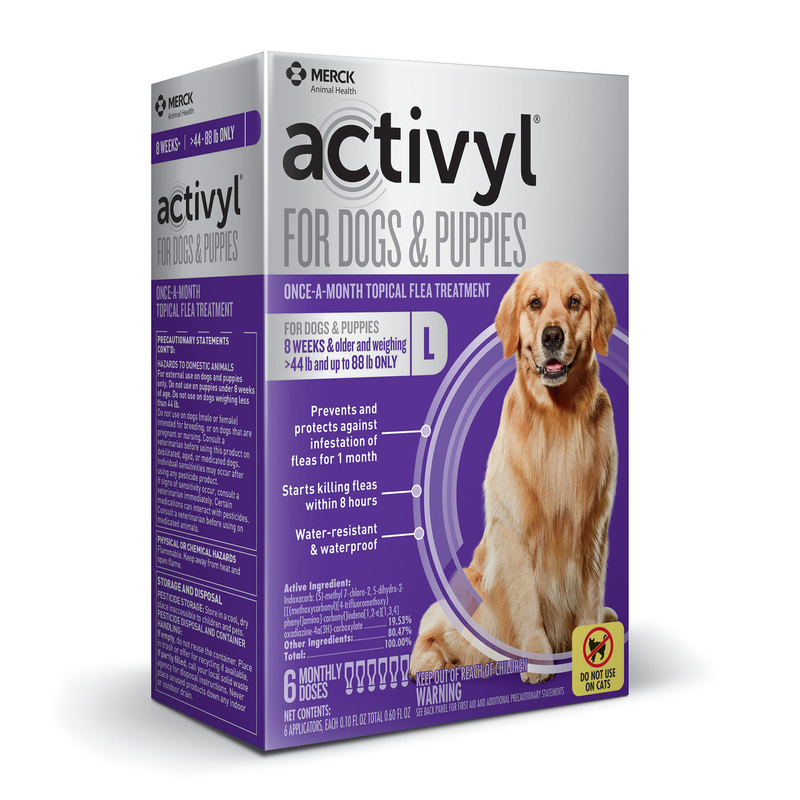 Activyl is an innovative flea treatment that is highly effective at killing fleas and preventing infestation. 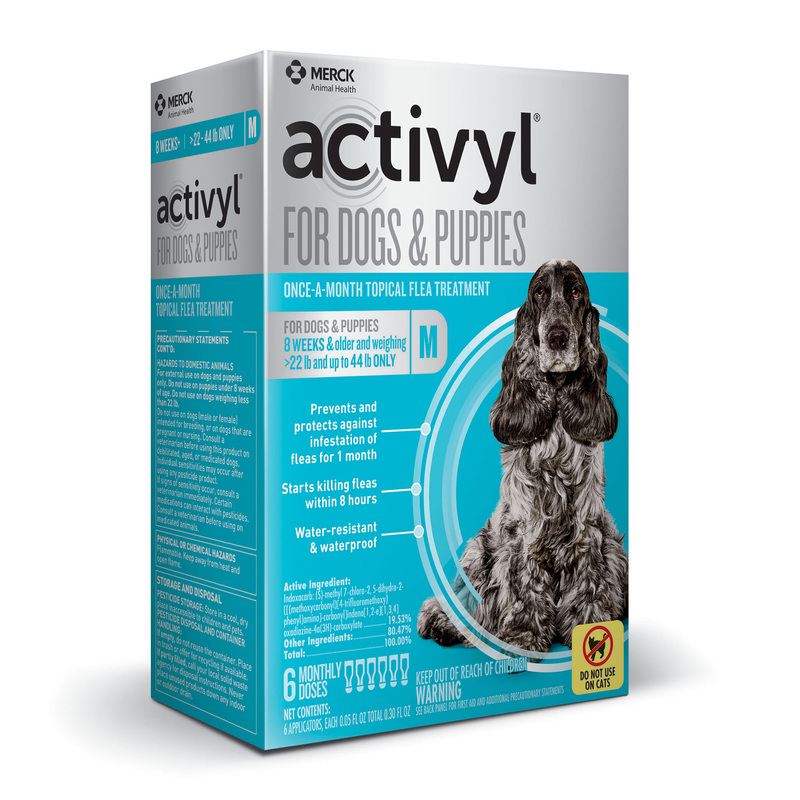 Activyl doesn't just kill adult fleas, it is unique in stopping flea eggs and larvae from developing. This breaks the flea life cycle and keeps your home and your pets safe from fleas. 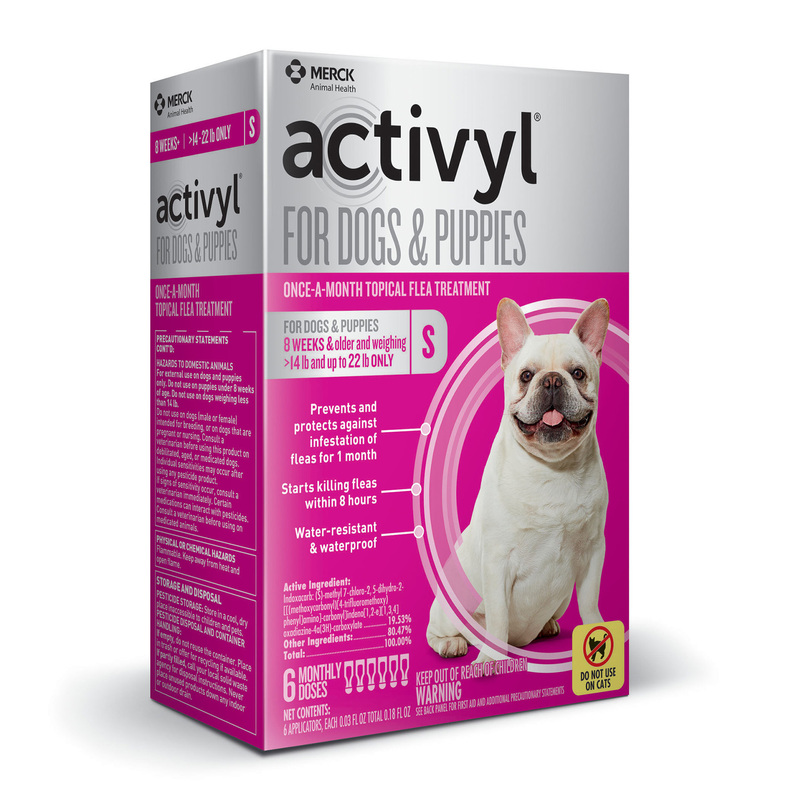 Activyl is efficient for your pet and can be used safely. 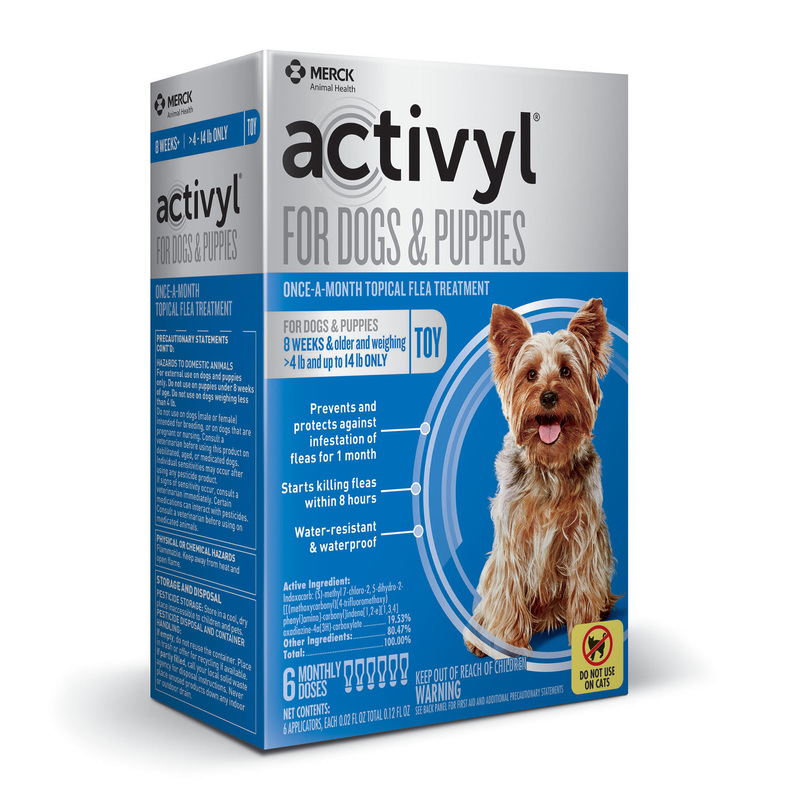 It stops fleas from biting to give your pet quick relief, and breaks the flea life cycle to prevent new fleas from developing. It is quick-drying, fragrance-free and waterproof even after bathing. 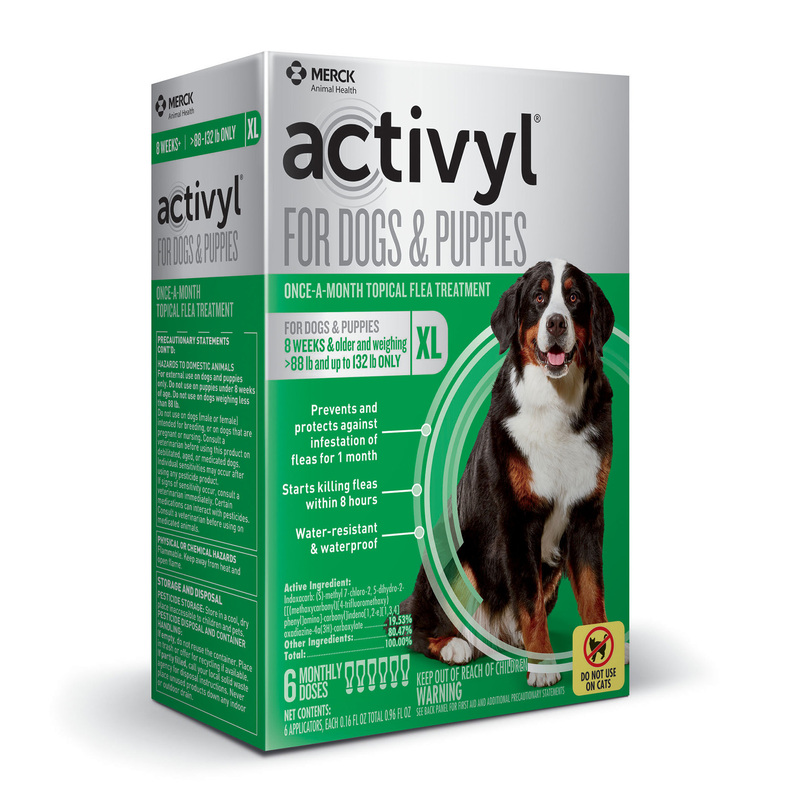 Ask your veterinarian if Activyl is right for your dog.